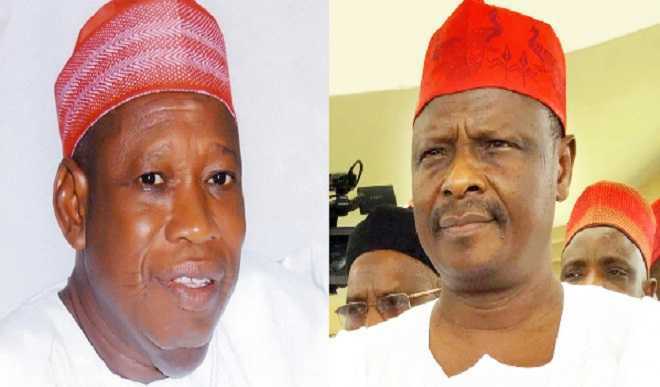 Former Kano State Governor, Dr Rabi’u Musa Kwankwaso and the ruling All Progressives Congress (APC) under the leadership of Governor Abdullahi Ganduje, are set to hold parallel political rallies in Kano on January 30. The two separate events are in preparation for the forthcoming local government election in the state scheduled for February 10, 2018. According to the APC campaign timetable, the party would hold its rally at Kwanar Dangora along Kano-Abuja road on January 30, for the presentation of flags to candidates. However, Senator Kwankwaso is expected to help his people in the ongoing campaign, ahead of the February 10 local government poll. Kwankwaso’s media aide, Hajiya Binta Spikin, confirmed his itinery. “Despite the purported rumours by the Ganduje-led faction of the APC, Kwankwaso will come to Kano on January 30 to help his people, especially those who are contesting in the forthcoming local government election in their campaign activities. “We are very much aware of the rumours going round that our leader will not come to Kano. The Ganduje’s people are circulating the rumours but I can assure you that this will not stop our leader from coming to Kano on the slated date,” Spikin said. Kano APC secretary, Alhaji Ibrahim Zakari Sarina, affirmed that the party’s rally at Kwanar Dangora was scheduled according to the campaign timetable released by the Kano State Independent Electoral Commission (KANSIEC), for the forthcoming local government poll in the state. “Unfortunately, Senator Kwankwaso did not inform the party about his planned rally which coincides with ours. Had it been he wrote to the party, the party will have shifted its own rally to another day. But because he did not inform the party, we based our own activities in line with KANSIEC’s timetable,” he said.